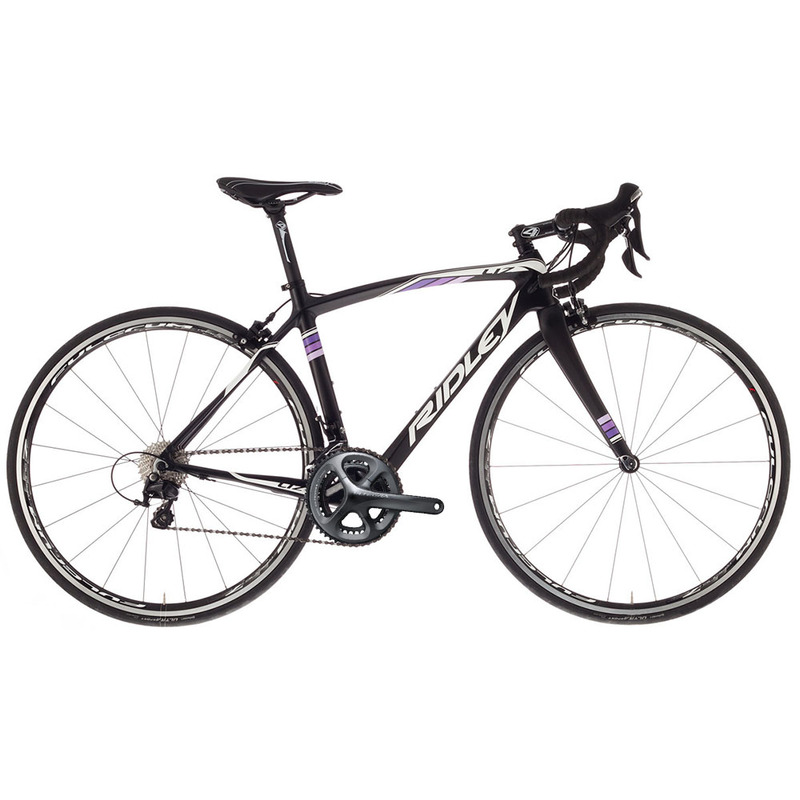 The Ridley Liz C carbon road bike with full Shimano Ultegra groupset is the quintessential “all-round” women’s bike. The female-spec’d version of Ridley’s Fenix frame, the Liz offers a perfect blend between performance, weight, strength, stiffness and especially comfort for long days in the saddle. Its unique diamond shape tubing creates reinforced edges for a robust frame with increased impact-resistance. 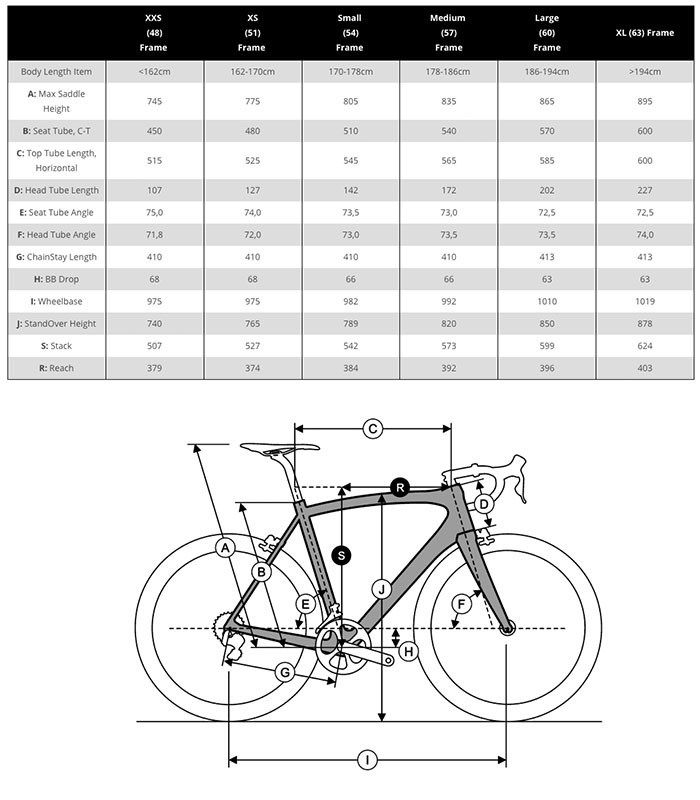 While this bike expertly handles top competition, it is also perfectly suited for the part-time racer or recreational rider in terms of performance, comfort and cost. It’s the optimal bike for tackling your next Gran Fondo or extended tour through the Flemish Ardennes. Spec’d with female-specific components for increased comfort. Handlebar with shallower drops, slightly shorter stem, anatomically-correct saddle, zero-offset seatpost and user-friendly gearing of 50-34 makes the Ridley Liz an absolute pleasure to ride.